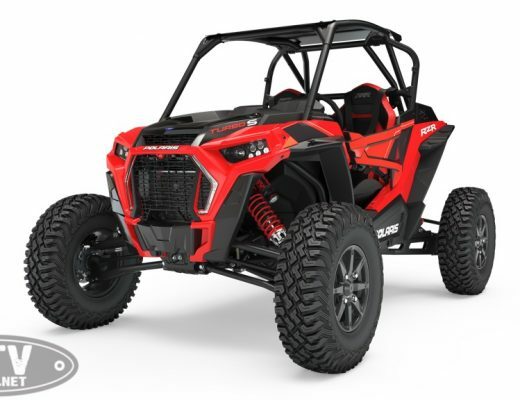 Bakersfield CA – Cognito Motorsports is known for their top quality suspension kits for trucks and UTV’s. Cognito suspension kits can be found on trucks all over the nation. Cognito went to work designing a production UTV suspension kit that was ready for battle. 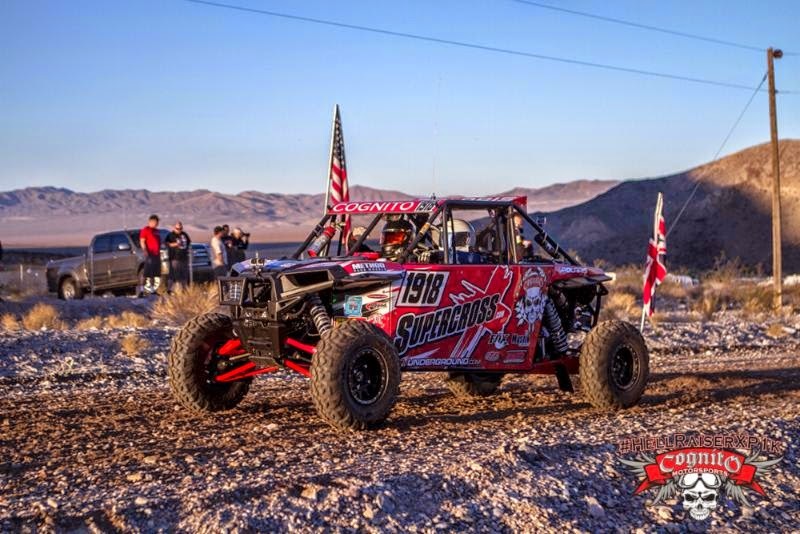 With that in mind, Cognito bolted their suspension up to its production Hellraiser XP1K chassis and pushed its limits through the desert’s in the southwest. From a customer stand point, whats better than a race proven suspension kit that you can bolt onto your play car? Win on Saturday, Sell on Monday. 6:40am Friday the 15th the sun would greet HellraiserXP1K with a blinding glare. The green flag dropped and Justin jumped on the throttle, the ITP tires hooked up and planted all that Sparks Racing HP. HellraiserXP1K was on rails Justin and Casey managed to work their way up to 7th place physically by PIT 2. Battling with vehicles that are not in your class can cost you the race. Picking the right spot to pass your fellow racer safely is key. A slight mistake by either driver and your out of the race or even worse…. someone is hurt. ITP Ultra Cross tires kicking up dust coming into pit 4. 3 hours and 30 minutes into the race and sitting in 7th place the team started to turn the Hellraiser loose. By pit 6th Justin and Casey had managed to pass 3 more vehicles and were sitting in 3rd place. Pit 6 was a scheduled drivers change. Jim Neasbitt (Cognito Pit Captain) and his crew were set up waiting for the car. Pulling into the pits Filippi was on the radio with Jim explaining how the car was sputtering around corners. A very soft, sandy silty race course had really affected their fuel consumption. They were running out of fuel and barley made it in to the pit. Driver Change at Pit 6, Justin Lambert and Jeremiah Staggs taking over the driving duties. Justin Lambert would fly out of PIT 6 with his eyes set on the leader. Within miles he was in a battle second place. The battle lasted for several miles but Hellraiser was able to put the pass on Mark Burnett. Around RM320 dust was building on the horizon. Jagged X was cruising along slow. Justin flew by and was running first on the course. Soon after the braking system would start acting up. Justin and Jeremiah slowed the pace up a little and tried to safely get Hellraiser into the pits and let the team work their magic. Justin Lambert owner of Cognito Motorsports and Jim Neasbitt discussing the braking system. While pitting Jagged X would pass them for the lead. Justin laid on the skinny pedal and started making ground on Jagged. Again around RM348 they would over take Jagged for the lead. 2 miles later a mechanical issue would end their day. Things like this can be devastating to a team. But Cognito Motorsports is no average team. They collected their machine and started planning for the next race.